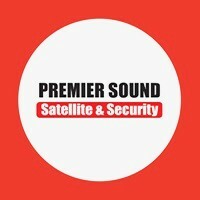 Premier Sound Satellite & Security is pleased to provide audio, visual, and security systems to the Myrtle Beach, SC area. Since 2002, we have been performing installations of the latestin security systems, surveillance, burglar alarms, speakers and more. We strive to deliver the highest level of professionalism no matter what service our customers may need. Our technicians are skilled and friendly, and will even demonstrate how your new system works before calling a job complete. We have a wide array of installation services available, from installing a home theater with seating, to a central vacuum that gives homeowners the power to keep their homes free of dirt and dust effectively. Visit our showroom to see equipment in action or to schedule an in-home consultation.